Beano attracts consumer’s through gifts with purchase. 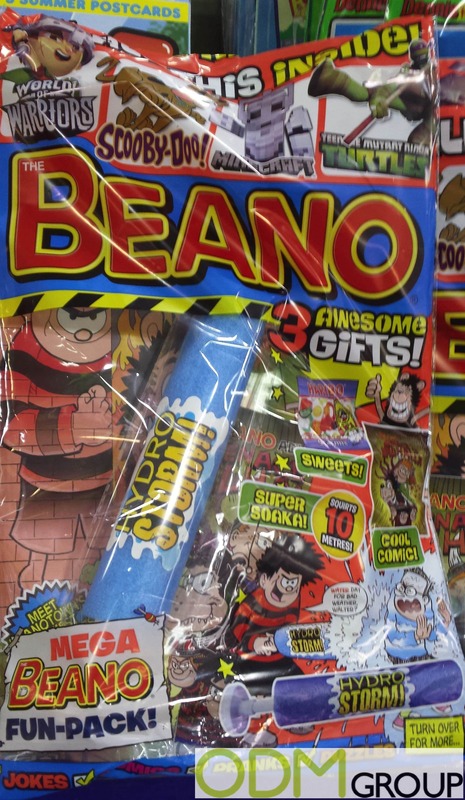 Beano are offering not only one, but 3 fun free gifts with purchase that will surely win over consumers to their weekly magazine! This prestigious company within the comic world are offering three fun gifts; a super soaker, sweets and another ‘cool’ comic with a purchase of their product, that is a great marketing technique that more companies should get involved with outside of magazines. Furthermore, the hydro storm super soaker offered in the gift set is a perfect seasonal gift for the summer time. By offering specific toys for the summer will attract more kids to the product eager to use it on a hot day. Overall there are many benefits the awesome gift set will give the Beano magazine. Why Should More Company’s Implement Free Gifts with Purchase Strategy? Increased Satisfaction – when customers notice the free gift with purchase their satisfaction with the product will increase, everyone loves a free gift! 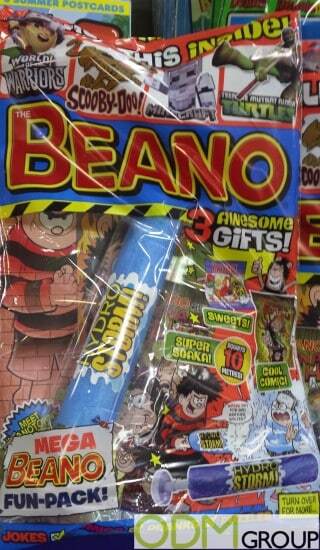 particularly in Beano’s case where 3 gifts are presently will undoubtedly stimulate satisfaction. Positive Word-of mouth – An effective and relevant gift with purchase will not only increase satisfaction for the customer but if happy with the gift the consumers will inform friends, family and associates of this great gift, like with Beano. As a result positive word-of mouth will occur and effectively customers will market the product for you and attract more more customer for you. Customers Loyalty – often overlooked, the benefits of loyalty a have on a business. Receiving a gift with purchase will have fantastic impact on impressions and the view they hold of the brand. This especially important if a customer has had a bad service in the past gift with purchase can rectify this. Competitive Advantage – By proving free gifts can overall increase the value of the product and will distinguish product over others. Ultimately, these benefits will help make a company who uses this strategy prosper by increase customers and added sales in the long run. Here at ODM we specialise in promotional gifts with purchase. If you find this article useful, you will surely find our ODM blog relevant, visit us here and view other gift with purchase! Here you will find more useful information on marketing strategy and our company.